BroomDeciduous shrub. Compact habit with arching, trailing branches. Small leaves with pea-like, bri..
BroomDeciduous shrub. 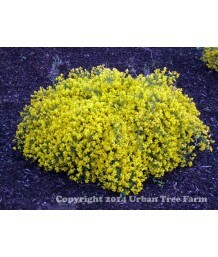 Produces waves of electric yellow flowers in early spring. After the spring bl..
BroomEvergreen shrub. Bright green foliage with spikes of yellow flowers in early spring. Moderate w..